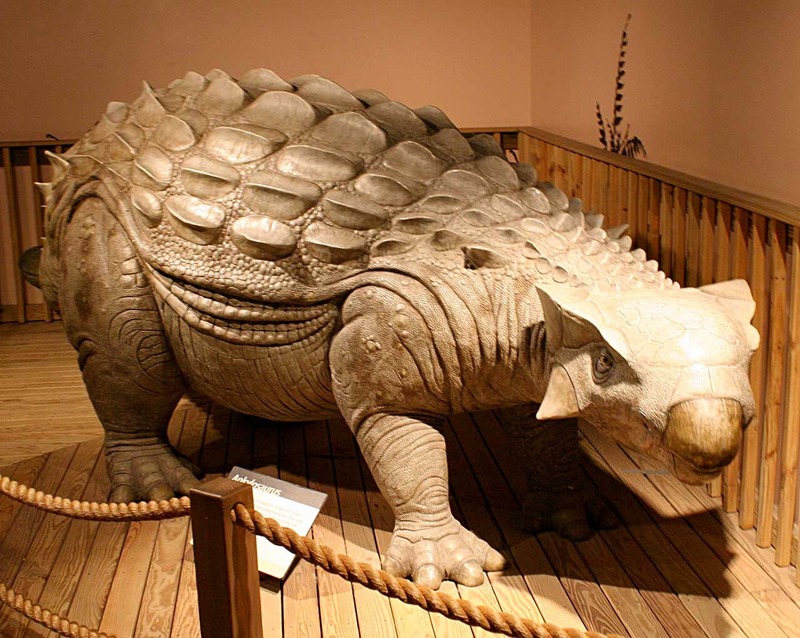 This pictures show a dinosaur replica of an Ankylosaurus. 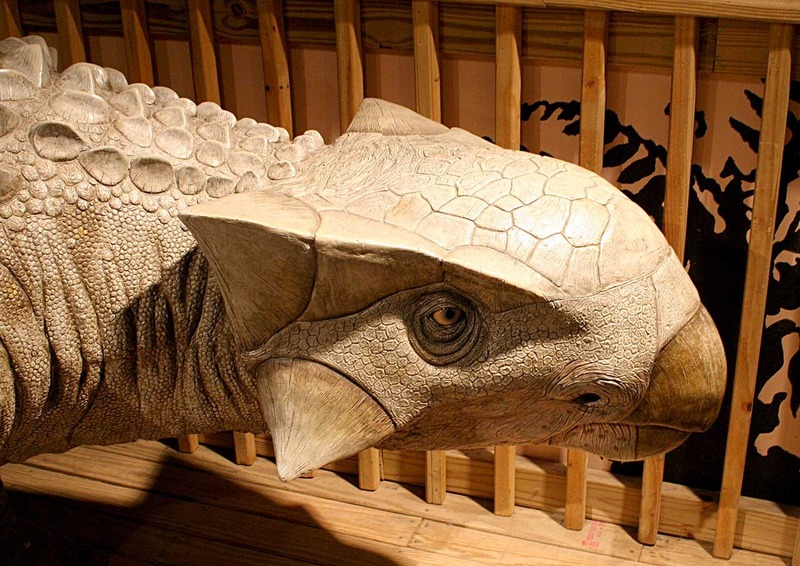 The model is about 5 meters in length. Its name means "fused lizard" which relates to the armored connected plates on its body. 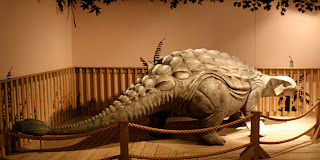 Dinosaurs like this existed about 70 million years ago in the Cretaceous Period. They were found in what is modern day Montana, USA and Alberta, Canada. When these pictures were taken the model was on display at Cincinnati Museum of Natural History and Science as of August 2013.